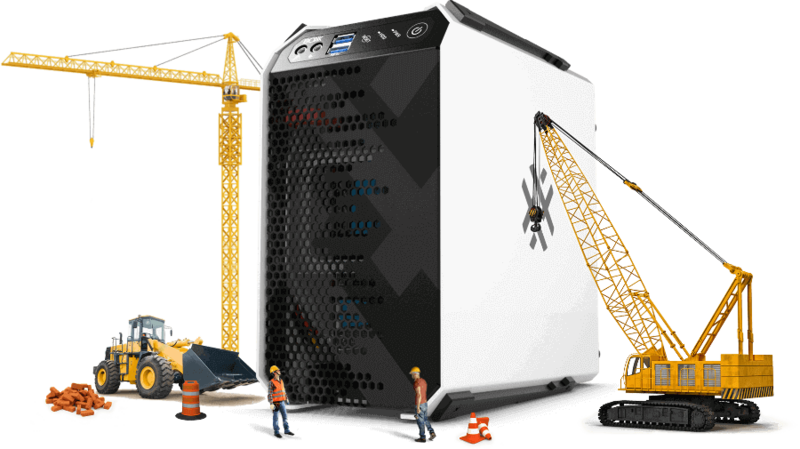 APEXX 8R is the ideal platform for GPU-accelerated rendering. 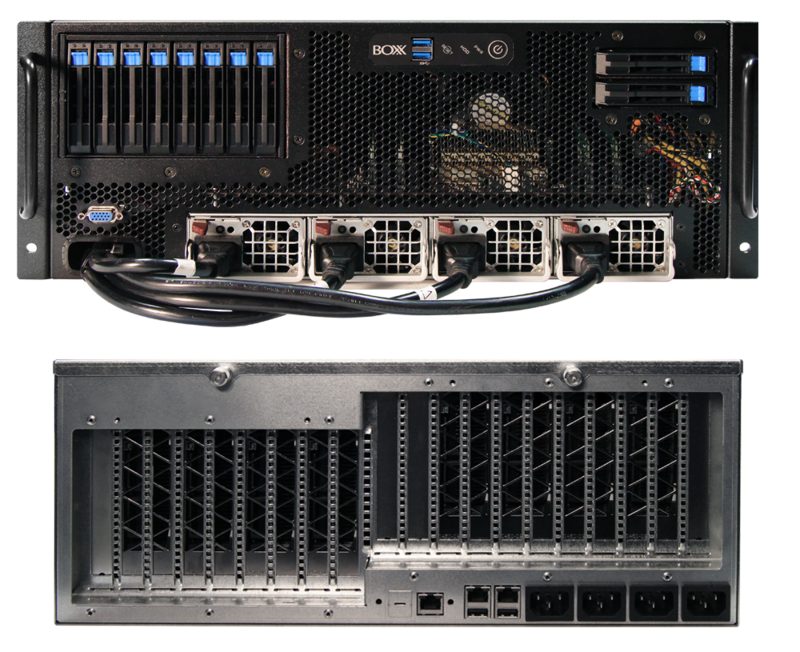 With room for up to eight professional, dual-width NVIDIA® Quadro™ or AMD® Radeon Pro™ graphics cards, APEXX 8R brings maximum compute density to a single server, along with the rock-solid reliability and legendary support you have come to expect from BOXX. 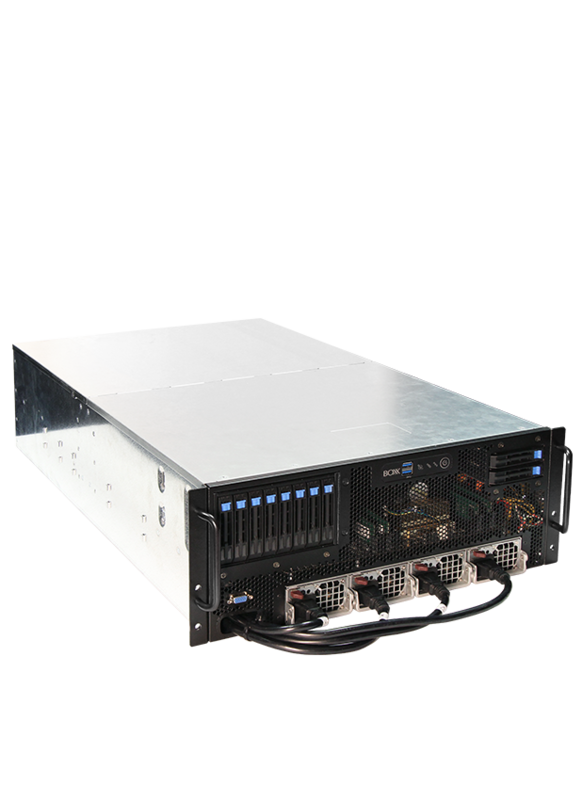 The BOXX APEXX D8R Rackmount supports up to eight dual slot NVIDIA GPU cards and provides room for additional NVIDIA® Sync II cards, networking, storage adapters or NVMe storage devices while enabling increased bandwidth and lower latencies between PCIe Gen3 devices. APEXX D8R can drastically accelerate GPU rendering and look development enabling more refined visuals in less time. Create hyper-realistic worlds using advanced physics and simulations, spawn massive crowds, or procedurally generate entire cities, forests, or jungles, all while maintaining interactivity for dailies or client and director reviews. GPU-accelerated rendering enables artists to rapidly visualize creations with photorealistic image quality, closely matching previsualization, 3D asset creation, lighting and lookdev, and effects with final frame rendering faster than ever before. Combine two GV100 cards for the largest rendering tasks with up to 64 GB of HBM memory and dual GPUs to provide the ultimate in rendering performance.